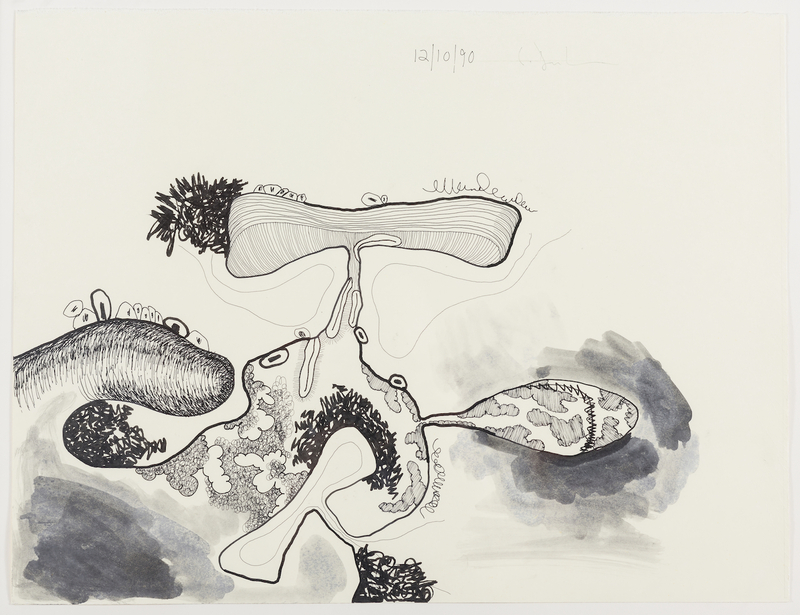 Drawings 1982-96 is a modestly titled but very revealing exhibition of drawings by Carroll Dunham, the bulk of which had been owned by Illeana Sonnabend, the artist’s New York gallerist from 1988 to 1994. 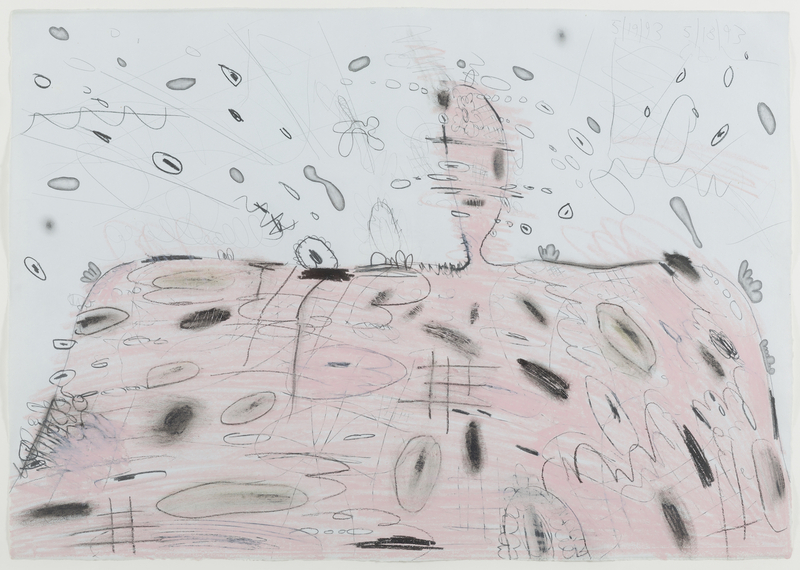 Drawings 1982-96 is a modestly titled but very revealing exhibition of drawings by Carroll Dunham, the bulk of which had been owned by Illeana Sonnabend, the artist’s New York gallerist from 1988 to 1994. 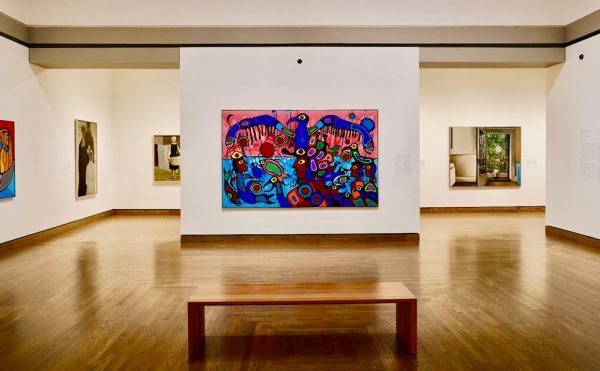 These works track two distinct periods in Dunham’s artistic life: his early successes from 1982 to 1984 and a middle time of uncertainty and great experimentation coupled with early fatherhood and an art market depression from 1988 to 1993. They elucidate the origins of Dunham’s visual vocabulary and his turn toward figuration. 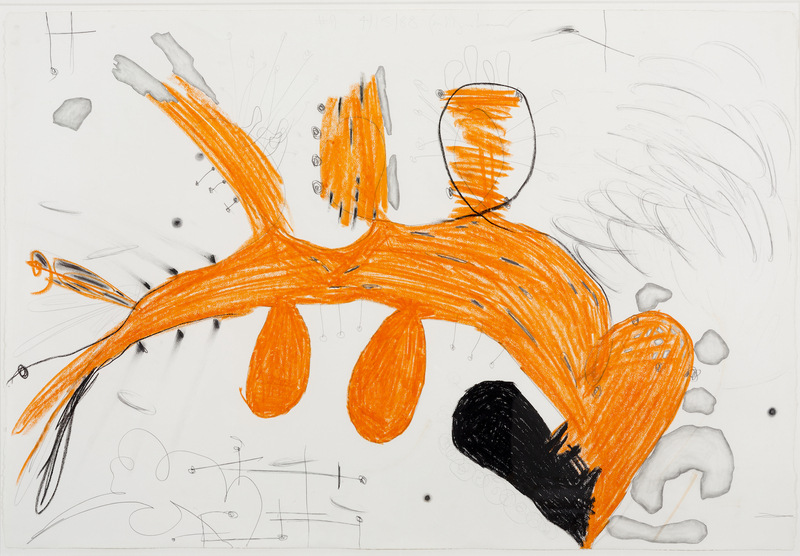 The drawings vary in size and material, but are bound together by Dunham’s belief that they could be shown in a gallery setting, which is to say, they’re different animals from the drawings we are used to seeing over the last decade, most recently at a 2015 solo booth at Frieze New York. 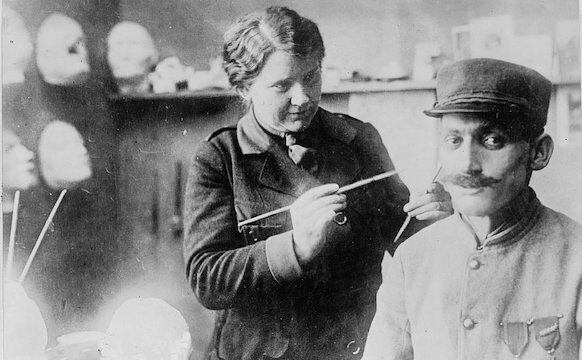 For the artist, these are not studies, but primary works as important as his paintings. Behind each of these sheets, however, are stacks of smaller, often looser notational drawings that the artist kept mostly private and considered separate from his more formal drawings. It wasn’t until an exhibition at the Drammens Museum in Norway in 2006 and accompanying book that the two drawing modes linked up. Or, as Dunham’s longtime friend, painter Terry Winters, puts it, “Tip [Dunham’s nickname] pushes the extremes of what or how little notation, as diary entry or memorandum, can become ‘drawing’. That acceptance of less paradoxically allows him to generate more — more work, more subject.” Winters’s observation gets at another essential visual component of these drawings: the dates. “Time,” Dunham says, “is as much a material as crayon or paper is a material. And I knew I’d want to be able to reconstruct how I’d experienced my art as it happened.” A decade later, after multiple exhibitions and publications, viewers are more accustomed to Dunham’s scrappier drawings than the more consciously ambitious works in this exhibition. 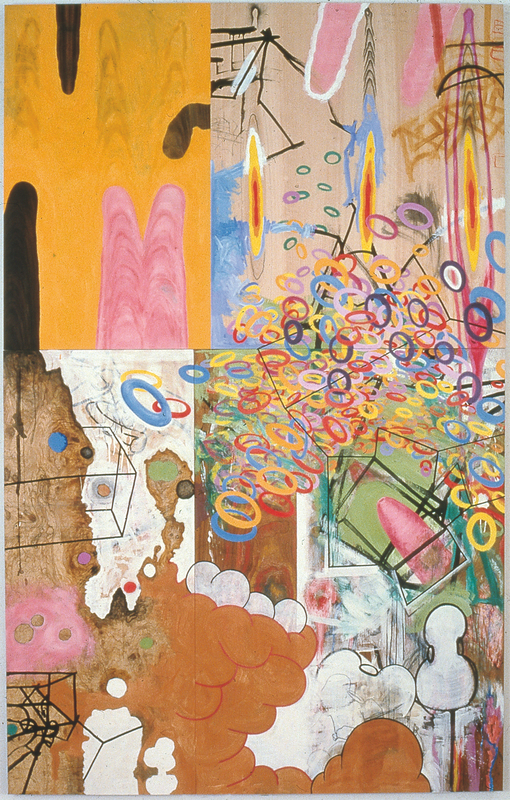 The Gladstone show begins with work from 1982, when Dunham was just finding his way with the paintings on wood for which he would first gain notice. 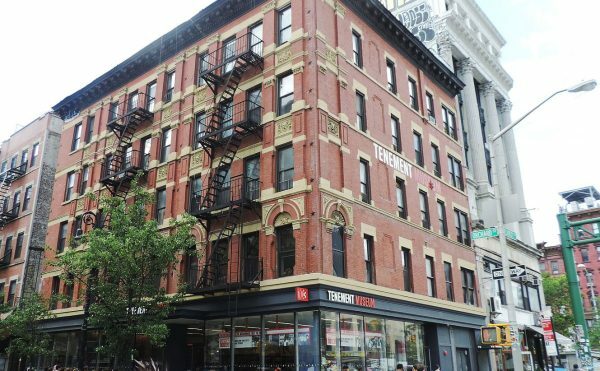 He was living with his then-girlfriend (now-wife), artist Laurie Simmons, in a floor-through loft at 547 Broadway, an 1888 cast-iron in downtown Manhattan. Winters lived above them. Dunham was in his early 30s and his closest artist friends were Winters, Mel Kendrick, and John Newman. They had in common a set of non-verbal references to nature. Newman was interested in mathematical models; Winters was using plant and crystal structures; Kendrick was interested in process; and Dunham was consciously allowing biological forms into his work through the wood surfaces that provide a physical base for his paintings and drawings. Dunham and his peers had emerged from a conceptual and process-oriented New York milieu in which a number of artists were exhibiting and redefining drawing as a primary medium, including Barry Le Va, Dorothea Rockburne (who Dunham and Kendrick assisted), Mel Bochner, and Sol Lewitt. 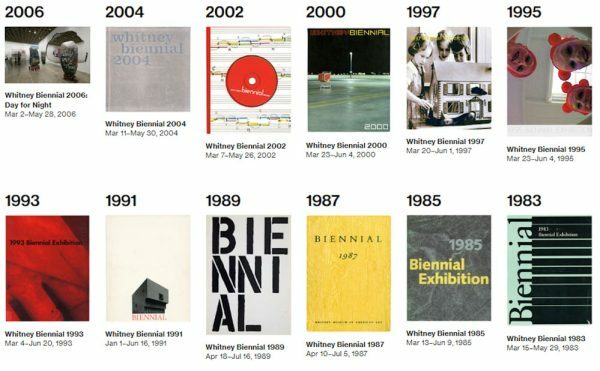 Connecting these and other artists was the removal of both the image and the artist’s sensuous touch, replaced with rigorous conceptual procedures. 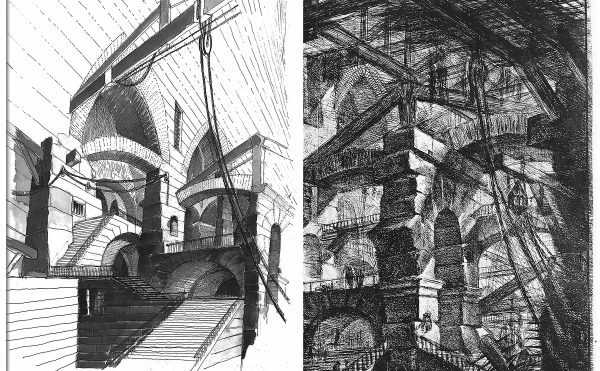 In contrast, Terry Winters notes that he and Dunham “saw drawing and making things by hand as a way out of or into art. We were reconnecting with gesture and touch, and their capacities to register other kinds of information not available through logic.” They were also finding kinship with artists that were not highly considered at the time, such as the mid-20th century German painter and photographer Wols and the American post-war painter William Baziotes, both of whose work defied categorization and remained outside of the contemporary dialogue. Eluding early notoriety allowed Dunham to find his own way and his own pace without too much scrutiny. He and his close friends were not involved with the clubs, music and fashion that have since been enshrined as downtown culture. Mel Bochner, who has known Dunham since the early 1970s, notes that in those bustling early 1980s “Painting at that time was too fast. It had a goal and was trying to reach that goal. Tip never seemed to have a goal in mind and didn’t seem to have been in a hurry. Tip saw himself as mainstream, but a different mainstream. Tip doesn’t come from the age of rectangles. He took as his job breaking out of the age of rectangles and seriality.” Bochner is here alluding to Dunham’s 1983-1985 painting “The Age of Rectangles,” which treats the canvas as a site for nearly anarchic experimentation, without regard for linear progress, grids, flatness, tasteful coloration, or the idea of a contained art object. 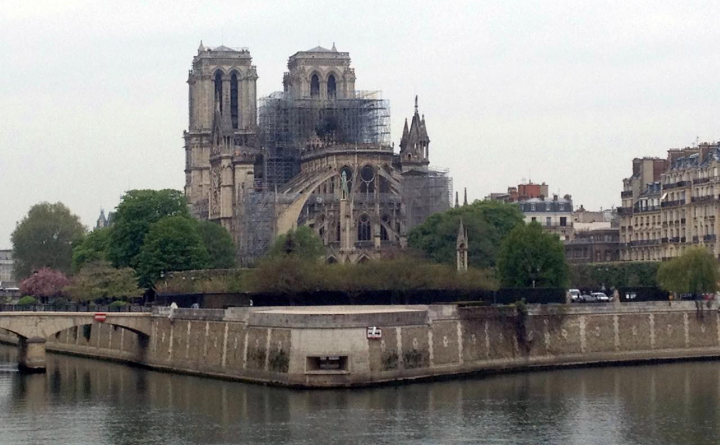 It is, in short, a prelude to what would follow for the next three decades. Dunham’s drawing (and later printmaking) activities ran parallel to “The Age of Rectangles” and related paintings and remain equally important to him. “The only material distinction between what I was calling paintings and what I was calling drawings,” he says, “is that my drawings were not mounted on panel. I didn’t mount the veneers on panels and I didn’t use color. I just used white gesso, black paint, carbon pencils, crayons and whatever. And I framed them.” In these drawings the focus is on gesture and extrapolation from the visual hints in the veneers, which are sometimes used whole and other times cut into strips and reassembled. Paths are traced in black and white until a knot becomes an explosive pool in “Untitled (7/18/83)” (1983), for example. 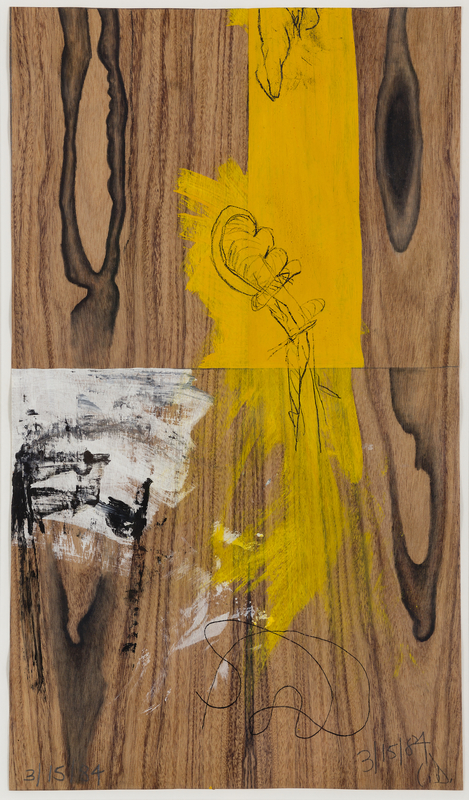 In “Untitled (3/15/84)” (1984), Dunham applies a coat of yellow to an extant vertical area of a wood veneer, and then draws forms on top of it, as though extracting internal shapes from the material. Equally valuing drawing and painting was one way in which Dunham transcended the history he was now departing from. In 1987 Dunham finished the last of his wood grain paintings and found himself in the curious position of lacking a procedure to continue with. He simply didn’t know what his paintings should be anymore. His printmaking activities over the previous couple years had shown that he could work from a blank sheet and did not need the support of the wood grain to summon up gestures and images. Moreover, printmaking had given Dunham access to multiple kinds of paper, allowing for surface experiments he hadn’t yet considered. So, following his usual line of thinking, the artist took a cue from the work itself and followed a shape hanging down like a ginger root in “Untitled” 1987 one of his final paintings on wood. He decided to take that shape as his generative starting point. These new shapes were simultaneously explored in Dunham’s paintings and drawings, both centered on single colored objects. 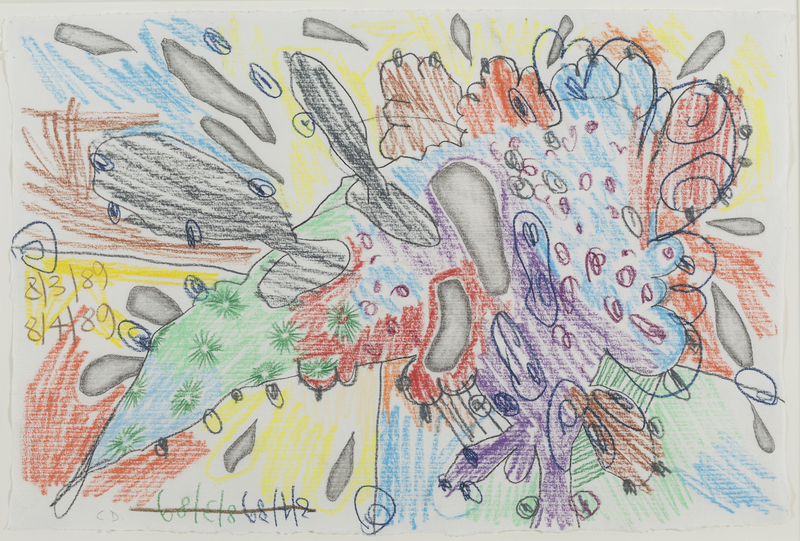 The drawings, all dating from 1988, are done with beeswax crayons — the same kind endorsed by the Rudolf Steiner curriculum. The meeting of the physical and the spiritual in these drawing tools represented a perfect confluence, given Dunham’s interest in alternative states of mind and the kind of psychic explorations undertaken by artists such as Max Ernst and Wassily Kandinsky. Dunham’s Nine Drawings series was executed in those thick, sweet smelling yellow, orange and black crayon, with graphite accents. “#9” (from the series Nine Drawings, 1988), is focused on an orange ginger root shape comprised of evenly pressed strokes. A black “boot”-like form emerging at the bottom grounds the mass on the page. But all around the central form are an incredible variety of graphite marks that ground it in space and time. Here the paper becomes an expansive space for drawing events: delicate, thin lines that cross one another as if charting a topographic map; broad curves executed with the side of a pencil in one area, and digging into the sheet in another; dark upward strokes that push the orange deep into the cream paper tone; and finally, hovering, delicately shaded asteroids. In Dunham’s paintings of this period, the shapes often overwhelm his marks, while in his drawings of this time, it’s the opposite: his intimate touches are both form and subject. Having found his subject, in 1989 Dunham began to elaborate on it with an almost baroque attack. In “Untitled (8-3-89) (8-4-89)” (1989), he uses graphite to carefully delineate the contour of a central shape that serves as the ground for all the visual activity in the picture. The shape contains multiple areas of lightly applied green, blue, red, purple, and orange. Emerging from these fields are holes and planetoids outlined with the side of a pencil and filled with light shading. In other places Dunham drops in blue and green sparks, like bursts of activity, and encourages protrusions with thick, animated lines. Finally, as if mapping his own creation, he applies another layer of calligraphic blue pencil, echoing and extending the initial graphite outline. 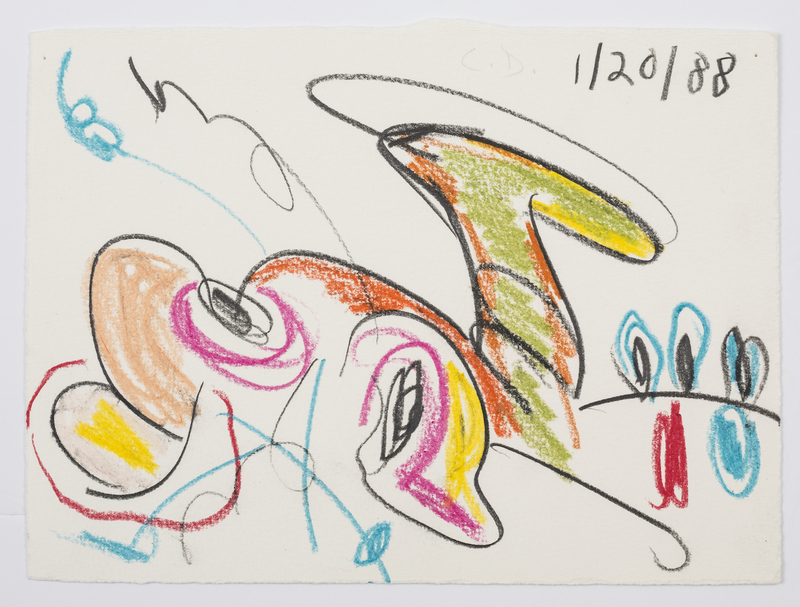 This and other drawings, including a remarkable set from November 1990 that explicitly examine the negative and positive spaces inherent in his new shape discoveries, show Dunham inventing a new language as he’s shedding old habits. In December of 1990 Dunham completed a series of ink and pencil drawings that were shown the following year in a three-person show with Mike Kelley and Cindy Sherman at Metro Pictures. They show a side of Dunham (“My whole pot-head and acid-head side coming out”) that never found expression in his paintings. It was the kind of stand-alone, fully delineated drawing project he’s since left behind in favor of printmaking. In these untitled works, he used rapidograph pens, which offer continuous ink flow and precision of line, on acid-free oak tag paper, an off-white sheet that resists absorbing too much ink. In “Untitled (12/10/90)” (1990), Dunham used different pen widths to fully define a physical place in a world: medium-width lines to outline the forms; thin, careful lines at the top of a bluff to indicate geological striations; quick gestural lines with a thick point to show shrubbery; and thin lines for the curves of a bulge or the patterning of a texture. Finally, ink washes suggest space. With consistent scale and marks, this is the closest Dunham ever got to placing his subject ahead of his formal concerns and realizing a fantasy world in drawing or painting. He continued to explore this territory most notably in the etching “Shape on a Base” (1990). The early 1990s would find Dunham refining and expanding his shapes, mounds, and planets. In the spring of 1993, he completed a series of planetoids rapidly colored with pink curves, giving the illusion of looking into a particle accelerator. Though the mass reads as a planet, in creating a spinning blur of color that exceeds the thin holding line, the crayon marks become the subject and one feels a gravitational pull. With the arrival of “Pink Mound with Eruption (5/18/93, 5/19/93)”, (1993), Dunham literally and figuratively found the ground from which buildings, heads, trees, men, and women would spring. His turn to figuration would definitively separate him, aesthetically, from his peers. He was going somewhere that process and concept-driven paintings of the 1970s and ‘80s did not anticipate. But his figures and his worlds are, in hindsight, waiting just inside the graphite areas the artist has forcefully inscribed in a built-up pink ground. Those rubbed-in holes, scratched hatches and loop-de-loops are emboldened with potentiality. Carroll Dunham: Drawings 1982-96 continues at Gladstone 64 (130 East 64th Street, Lenox Hill, Manhattan) through October 22.